We wanted to wish all of our readers and customers a very merry Christmas! We’re sending warm thoughts your way this year with two new designs. 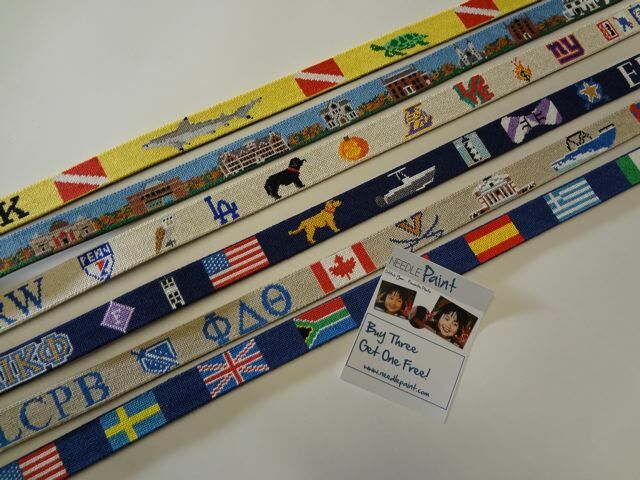 The Surf Board Needlepoint Belt brings the beach with you! 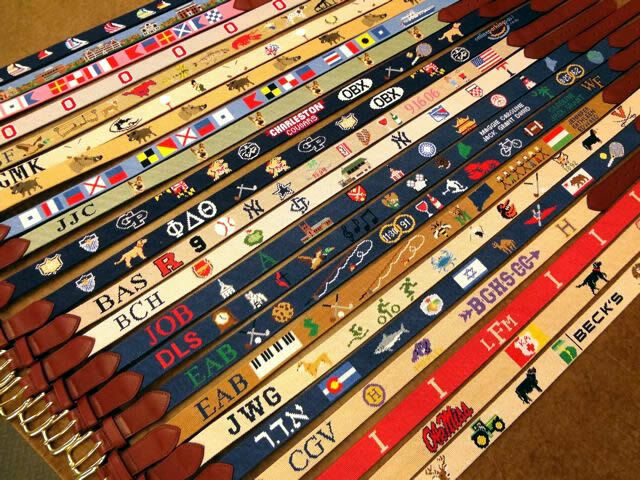 All of our designs can be customized includeing a free monogram and swaping in a surf board or guitare of your own into the design! 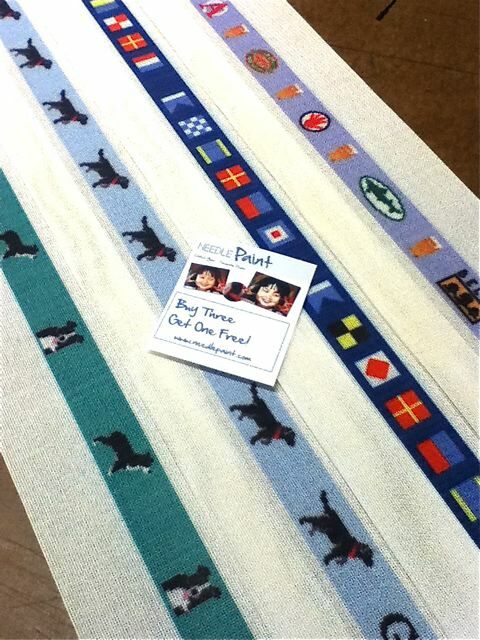 Availble as a fully stitched belt, or a DIY needlepoint canvas. 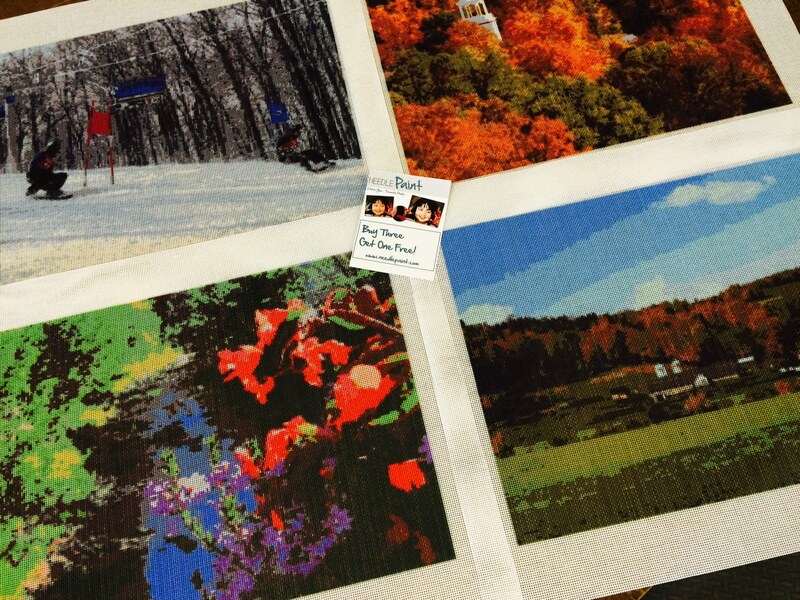 We’ve got more pictures from this year’s Christmas orders! 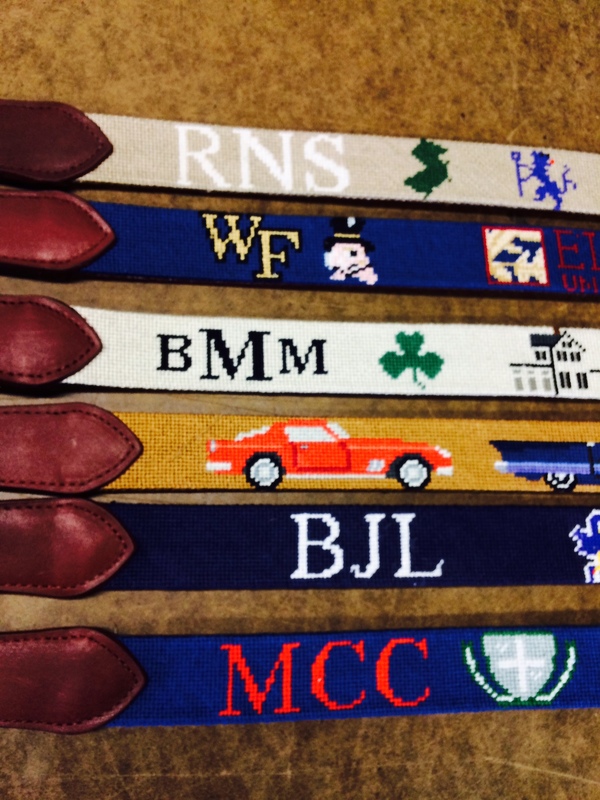 This blog post features pictures and reviews of our custom needlepoint belts. We’ll start with one review and put the rest at the bottom of this post. 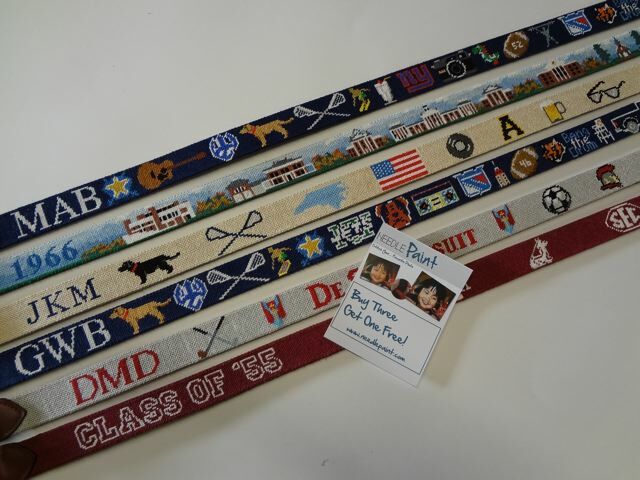 Those of you looking for 2015 Christmas Gift ideas, please note that these custom needlepoint belts were ordered at the end of October and very early November, so please try to plan ahead! Now on to some more detail! 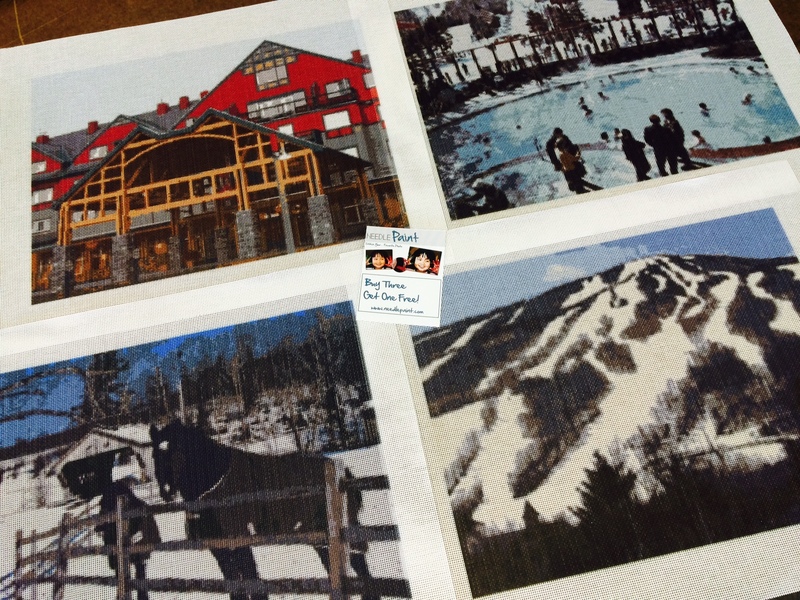 Friday Favorites – Merry Christmas and Fun Needlepoint Treats! I’m so fortunate do have a great team to work with. I was aways last week with my family, but Karen kept everything going and ensured that all of our Christmas and Hanukkah orders made it out in time. Thanks Karen!!! 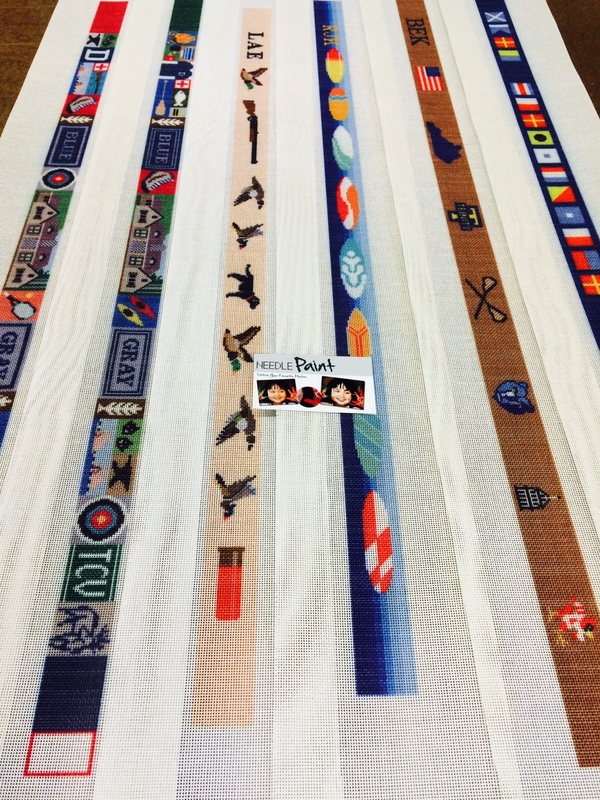 The first project was a dozen custom designs that will be stitched into two rugs. They are mountain themed and look like a lot of fun. 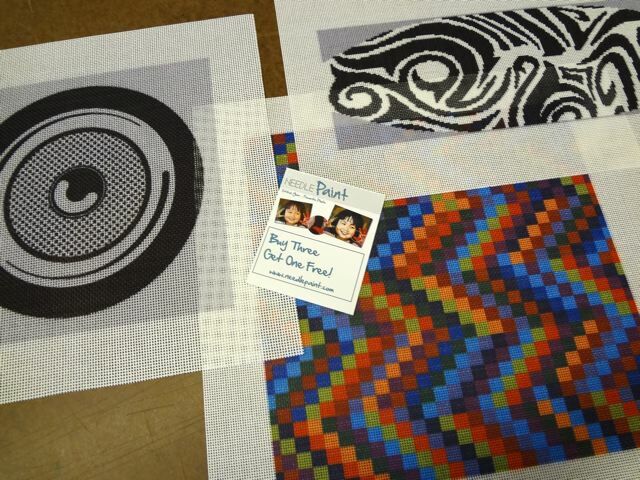 We kept the number of colors down and used 14 mesh and wool so there will be a lot of detail This is a work in progress which we hope to share photos of when it is done! 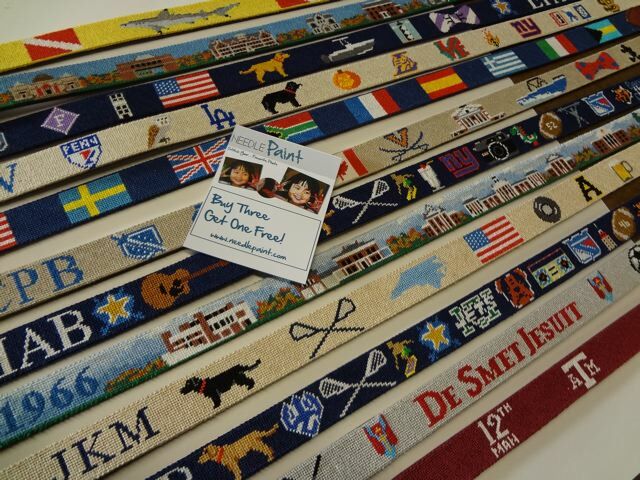 If you read our blog regularly, you’ll know that we love designing needlepoint belts! 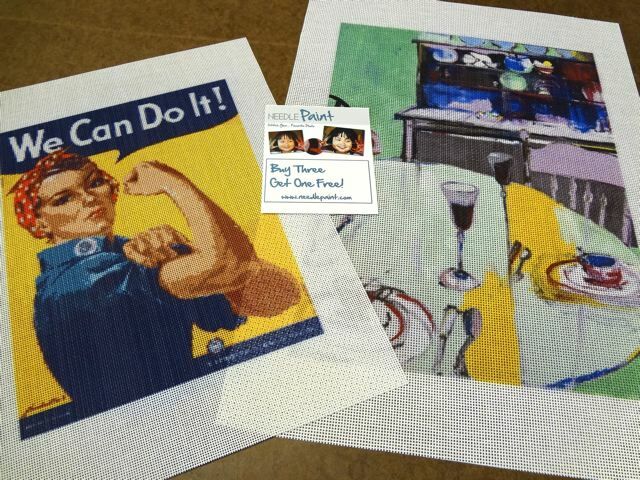 Below are more DIY needlepoint kits just in time for the holidays (or at least being able to get started and have something fun to work on with the whole family around). 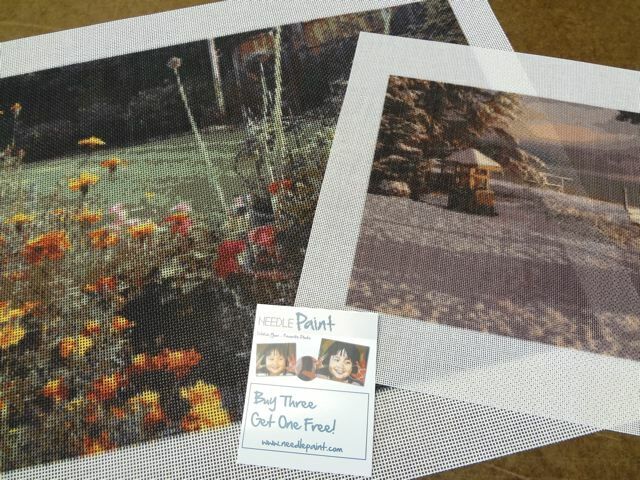 Personalized Needlepoint Belt Canvases including our New Surfing Belt Design! 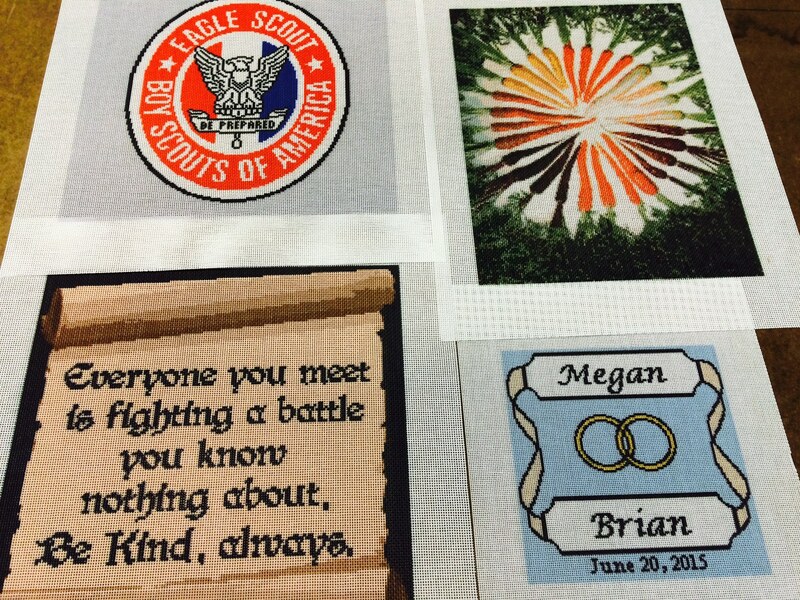 Last are a lot of personalized needlepoint designs that for sure will be cherished for years to come. Below is some of the feedback we got this week, it really does make us feel great! Again, big thanks to Karen! Merry Christmas and Happy Hanukkah to all. We’ll be working between the holidays, but taking days off here and there, so if we don’t reply to an email right away, please wait a day or two and we’ll be in touch. 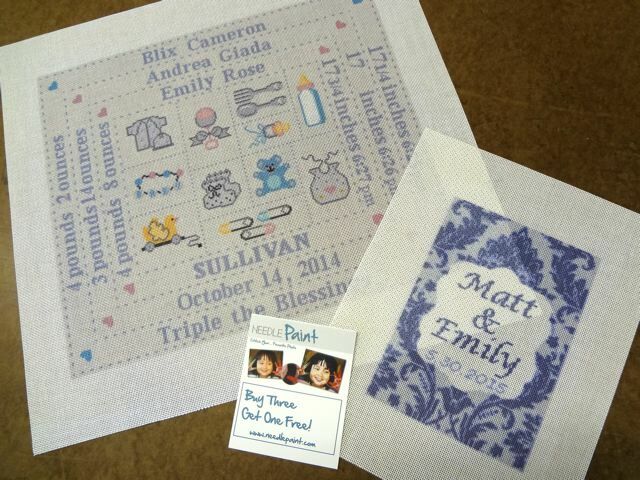 Needlepoint is fun, and this is a great time of year to share it! This week was one of the most challenging, and yet rewarding weeks we’ve ever had and NeedlePaint. 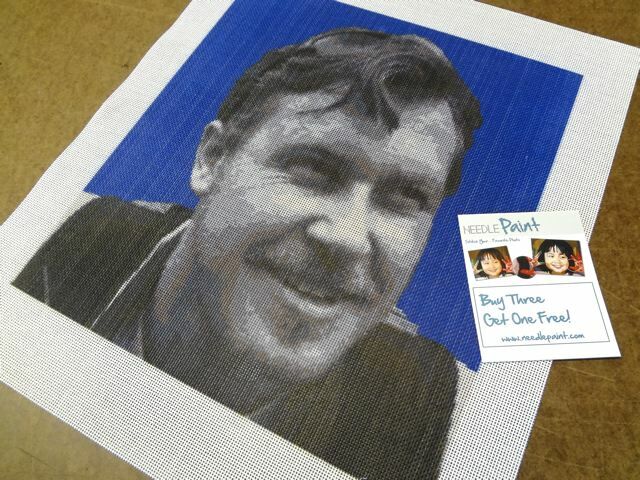 So many great projects, but not enough time. We will be shipping, but not until Monday as we still have some packing to do over the weekend! 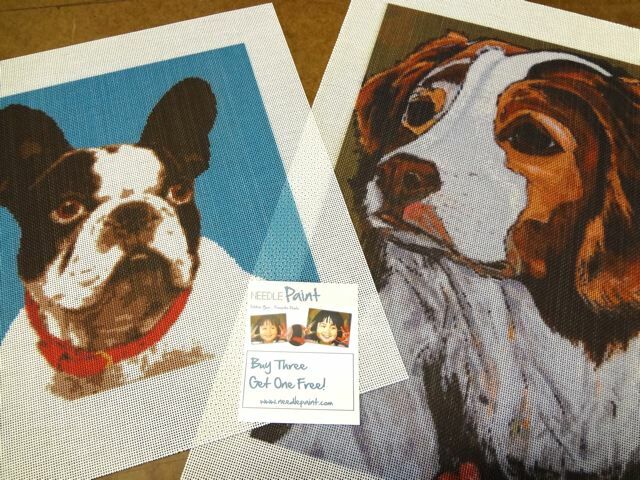 People looking for last minute Christmas and Hanukkah gifts have until Tuesday night to place your order. There will be a FedEx surcharge of around $10 for guaranteed arrival. Please email us to confirm shipping information and also note we can’t guarantee custom belt canvas designs will be ready, as they take us a few extra days. Onto the fun projects! 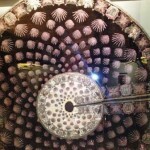 (And if you want to read more reviews from our customers, please see the bottom of this blog post). So, we like to share feedback we get, as it not only makes us smile, but also lets us know we are doing a good job, we hope we can help create something great for you someday, too! Merry Christmas, Isaac and Alex – Needlepoint Stockings! A blue glass bead eye for little penguin. Each needlpoint piece is with light-weight cotton cut on the bias and then the back of each is wool, also cut on the bias. Both are trimmed with gold braid. 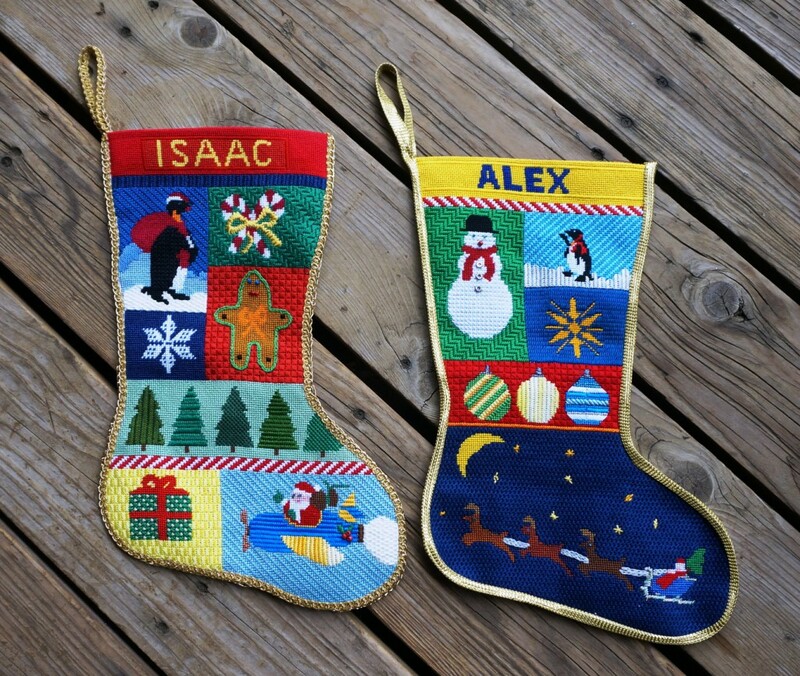 And click here to see more personalized needlepoint stocking designs! 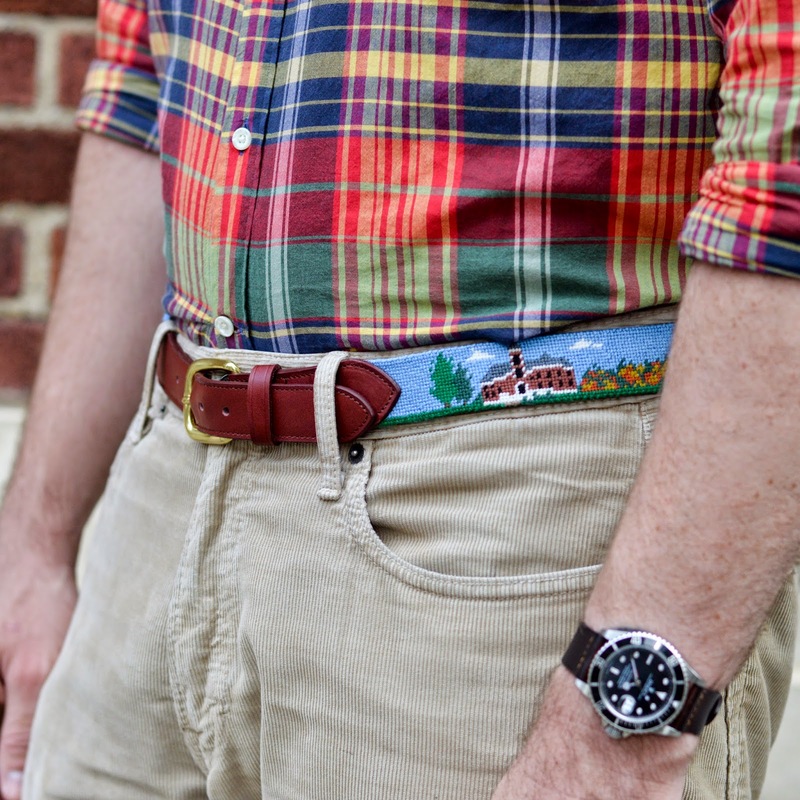 Some of you may have seen the Wabash college needlepoint belt on The College Prepster a few months ago, but we finally have added it to our shop! 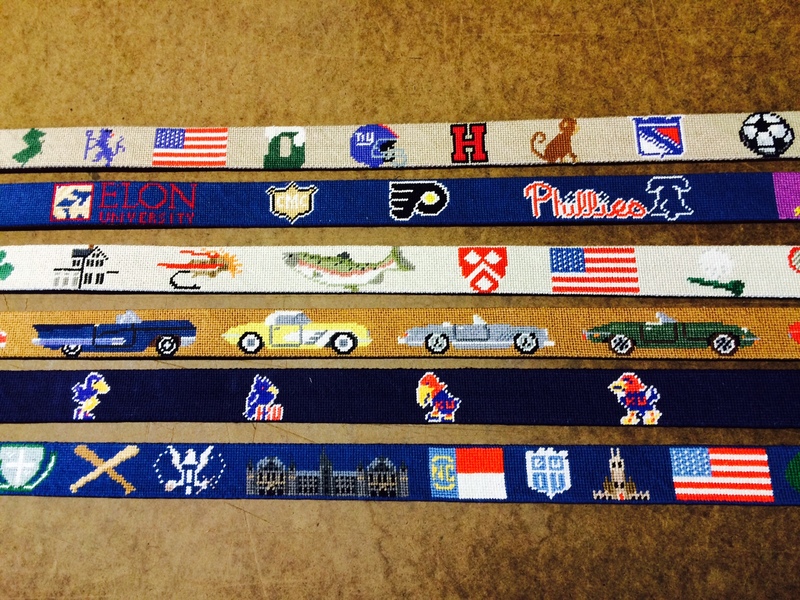 For those of you waiting for a University of Georgia Campus Needlepoint Belt design to be created, your wait is over, and boy does it look great! The UGA Alumni will recognize the bell tower next to the chapel that is rung in celebration and on special occasion, and check out Sanford Stadium! Other buildings are Holmes – Hunter Academic Building, The Arch, Brooks Hall, Waddel Hall, Bell Demosthenian Hall, Phi Kappa Hall, and Terry Hall. 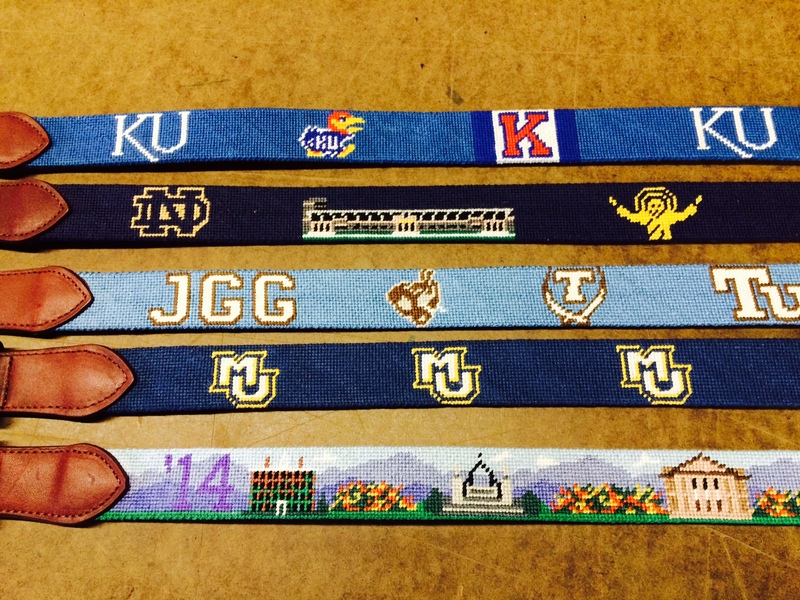 Both belts can be personalized, buildings substituted, and are also available as DIY needlepoint kits. We’re halfway thought the holiday season already, just two more week! Orders placed by Tuesday Dec. 9th will ship by the 13th and still make it in time for Christmas. 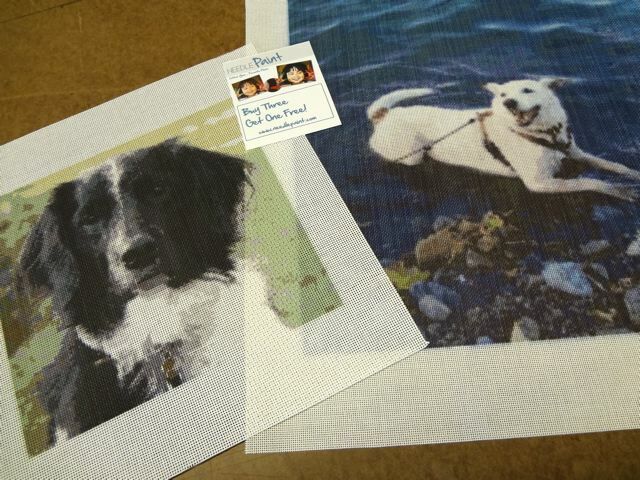 (This is for needlepoint canvases only, and does not necessarily include personalized designs). Orders placed by Dec 16th will need to use FedEx to guarantee delivery by the 24th. We will email customers the details about your orders if is shipping that week. If you are ordering a Life Treasures Belt design, please order ASAP, as it takes us 2 – 3 days extra to create your preview. We’ve been having a great holiday season this year and really appreciate feedback from our customers. Here is some we received recently. 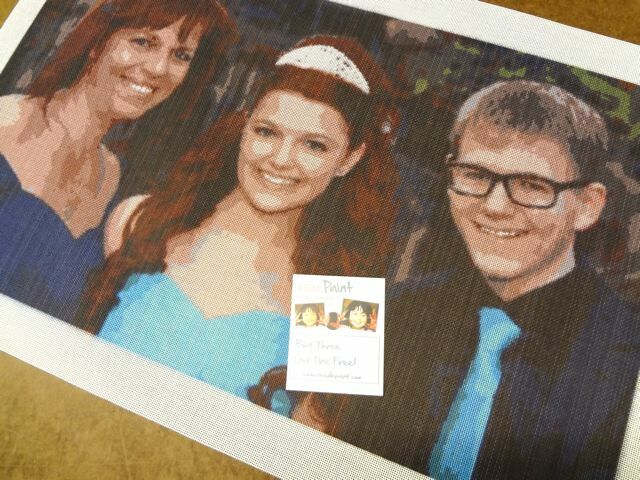 “I am very proud of the finished article but wouldn’t have achieved it without the fine canvas!” Beth – 2014-11-30 See her work below! Now is time for a real treat! 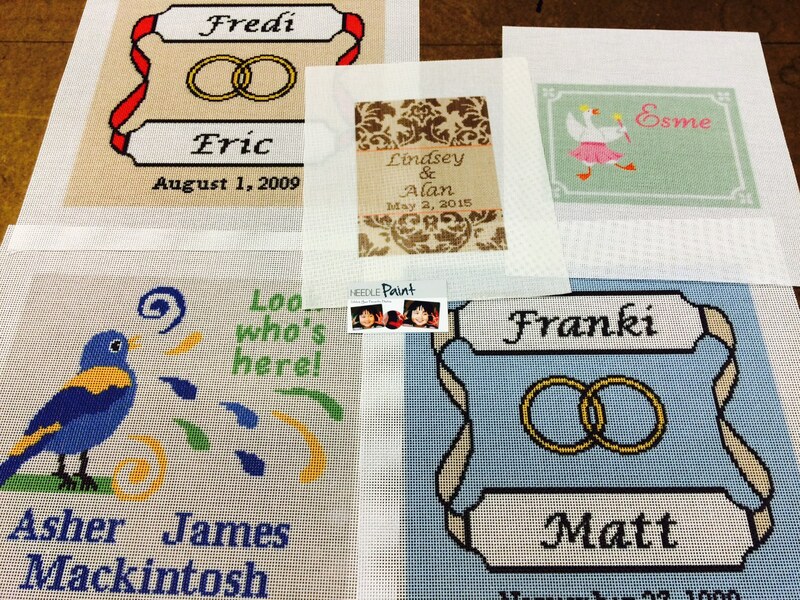 Below is a project one of our customers stitched recently. 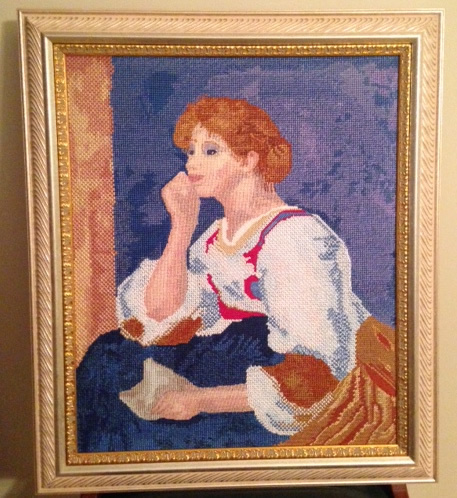 It was created off a piece of art called Lady with a Letter. You can see Beth’s very positive feedback above. 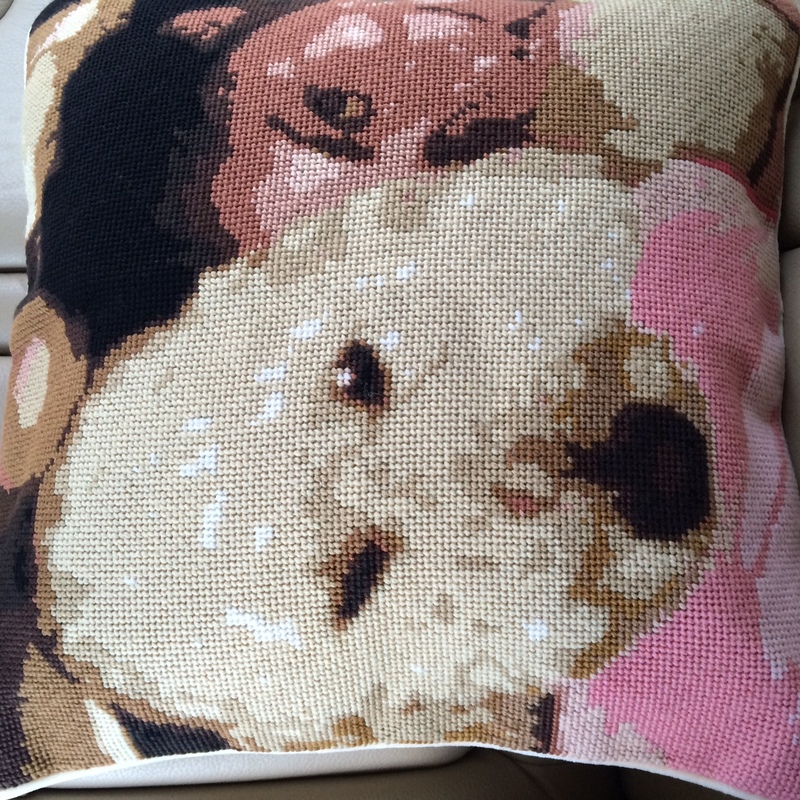 Please let her know if you love it as much as I do! 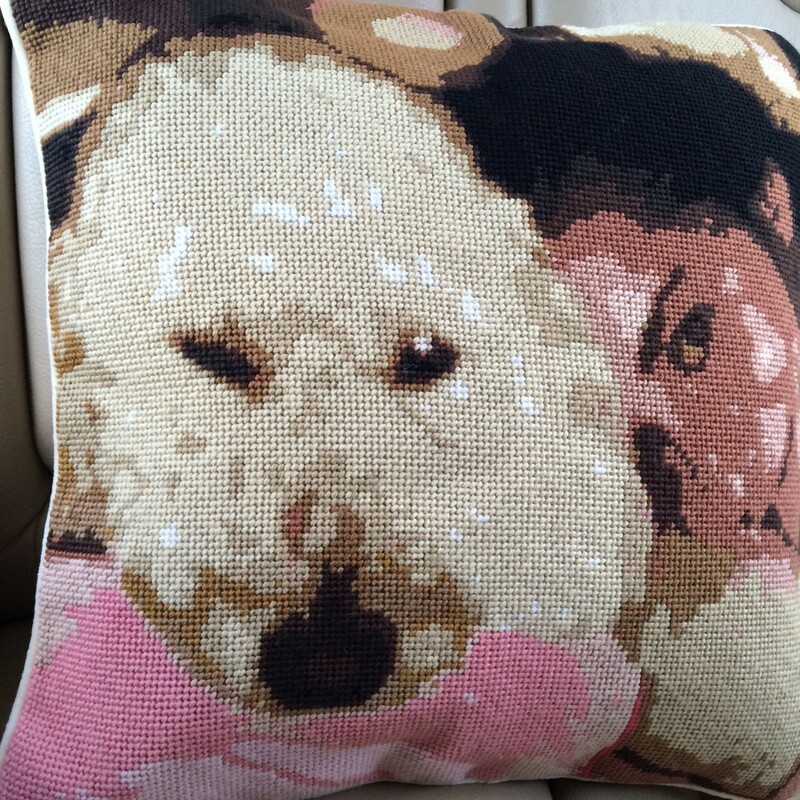 Finally, a needlepoint pillow that we stitched capturing a happy moment of true friendship. After a visit to the Legion of Honor Museum in Paris, I got inspired to retry some metallic threads. What prompted was this magnificent cape. 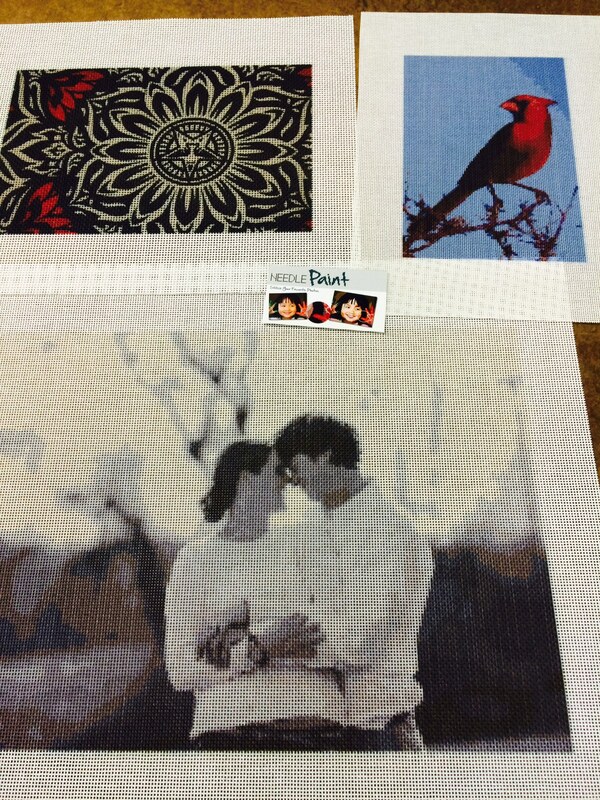 It doesn’t show well in this picture, but all of the designs are stitched with glistening metallic thread. 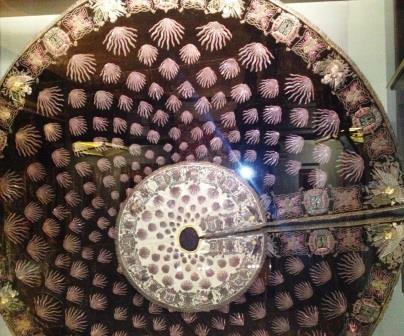 If you click on the image, for a better view of the details. Any way, I had some metallic DMC thread in the selection of threads that I had with me on my trip and decided that I should dress up the stockings a bit. I had used the thread before and found working with it difficult. It cracked easily and my needle slipped off easily. First lesson: Use it sparingly. 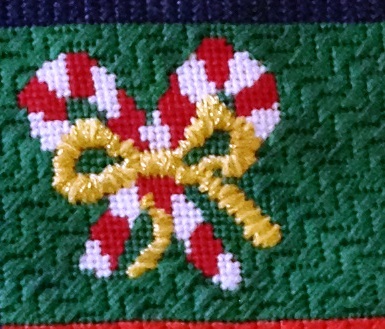 I liked what I got when I added it as an accent to the bow on the candy canes. The underlying yellow was done in a modified satin stitch and the gold thread was stitched over one out of three yellow satin stitches. Second lesson: Be patient and take it slowly. Third lesson: Avoid the continental stitch. It was the only alternative for the tops of the ornaments and shouldn’t have used it on the blue and white ornament. I am still working on the stocking and am contemplating where to use more metallic threads and beads. Stocking should be finished for my next post.